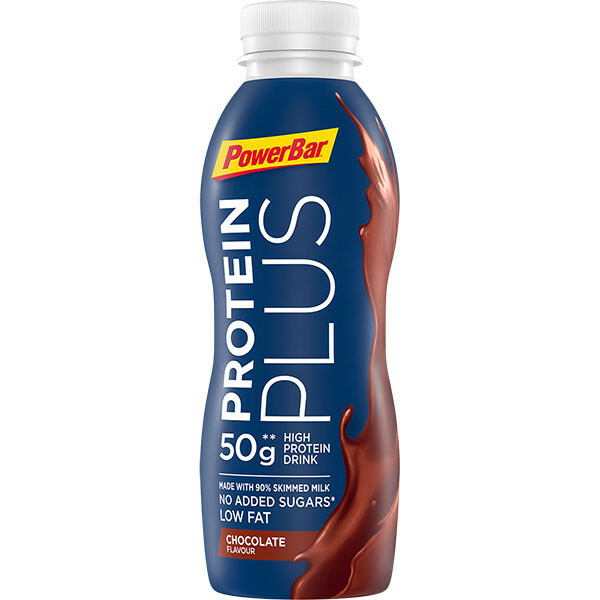 Your convenient and fast protein supply. After intense training your muscles need protein for maintainance and growth. 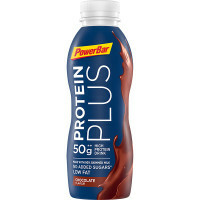 Protein Plus High Protein Drink is made from 90% skimmed milk, contains 50g of high quality protein and is low in fat; it also comes in a handy PET bottle for easy transportation on the go. 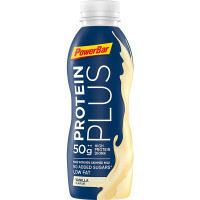 Through heat sterilization Protein Plus High Protein Drink can be stored at room temperature. Skimmed milk (90%), milk protein (8%), fat-reduced cocoa powder (1,5%), stabilisers (cellulose, cellulose gum, carrageenan), sweetener (sucralose). 1 bottle per day after training. For best results drink half a bottle immediately after training and the second half a few hours later. Once opened store in a refrigerator and consume within 24 hours.